Known as "The Girls with Roses"
in the Los Angeles and Orange County areas for the past 33 years. ONE MILLION DOLLAR LIABILITY INSURANCE POLICY. Our parking personnel are attired in beautifully styled black-vest tuxedo uniforms with white blouses and black bow ties. 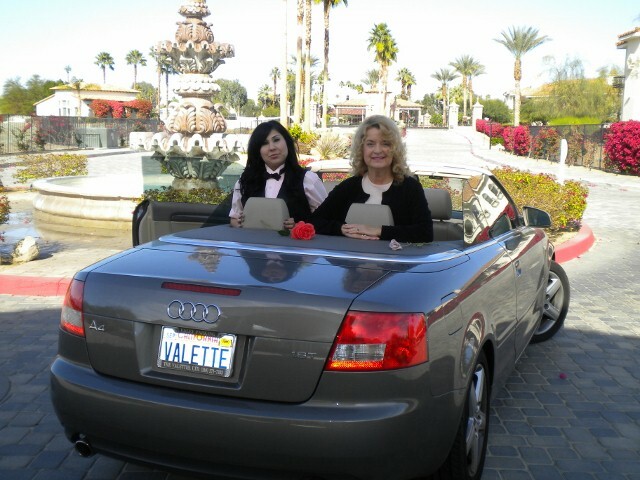 Our professionally trained attendants are friendly, courteous, and capable of driving every type of automobile. As an added luxury your guests are presented with a complimentary rose while awaiting the return of their vehicles. to discuss with you, your valet parking requirements.